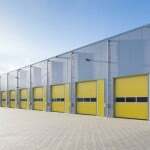 Temporary buildings are a good answer to expanding your company site as you grow and develop your business. 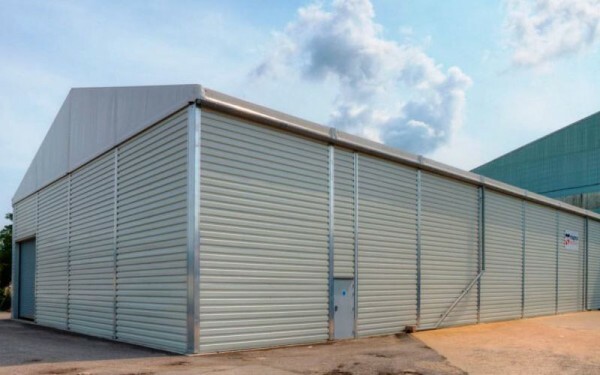 We use building materials to construct a bespoke temporary building so no matter what size structure you require, we will be able supply the perfect building for your business needs. Despite the term ‘temporary’, our buildings have a life span of around 30 years so although they are labelled as short-term, they are solid and long-lasting. Our team of experts will help you to find the right solution that fits your requirements and will advise you when opting for our bespoke constructions. 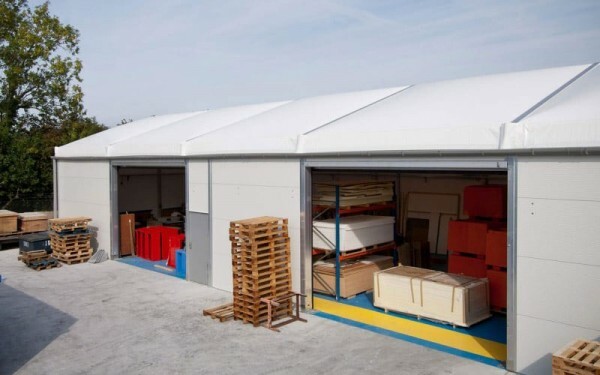 Choosing to have a temporary building can mean that you have the plans and structure in place within a matter of a few weeks, compared to months if not years if it were a permanent building, subject to planning. Are you looking for extra storage solutions? 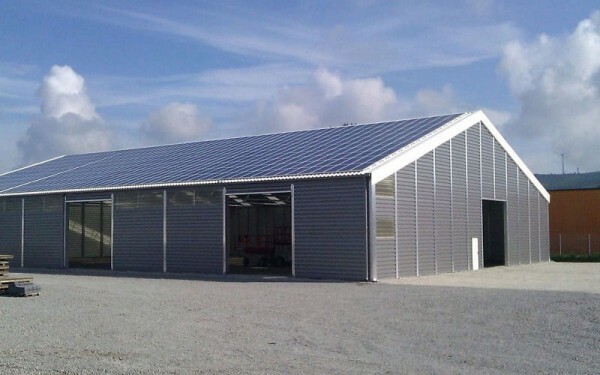 We have the perfect fast build temporary buildings for your needs. 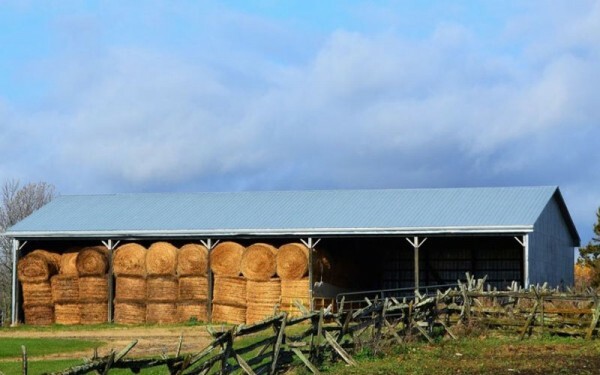 Temporary storage buildings can typically be built direct onto existing hard surfaces in less than a week. 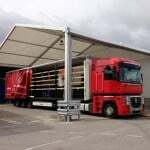 Hiring or buying canopies can quickly, economically and effectively solve all weather loading solutions. It wasn’t until I met Ian and the team in person that I realised that this solution could be more cost effective for our 2nd car showroom building, you can only read so much on a website however I would suggest if you are looking into hiring a temporary warehouse/building – I would give these guys a call, Ian has a really straight-forward and common sense approach. 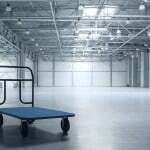 Warehousing: Some companies need a temporary increase in warehouse space, especially when their products are seasonal based. 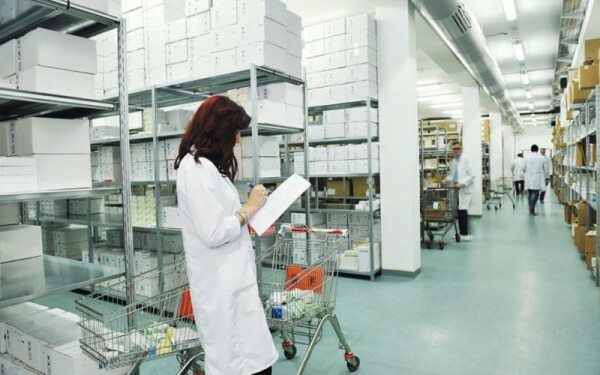 Storage: More storage during product manufacturing or developing, an increase in business demands or client orders. Retailers: Garden centres, supermarkets, car showrooms and DIY stores are commonly increasing space for seasonal products or may need extra storage for expanding their product range. 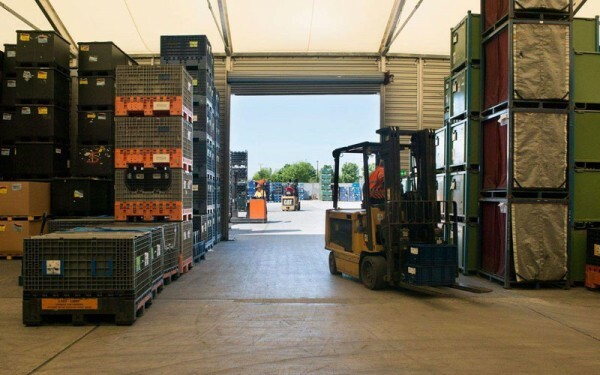 Transport: An increase in transport, logistics and distribution may require more space for cover and security on site. Choosing to have temporary buildings on site instead of a permanent structure, quickly resolves many issues that your company may be facing. 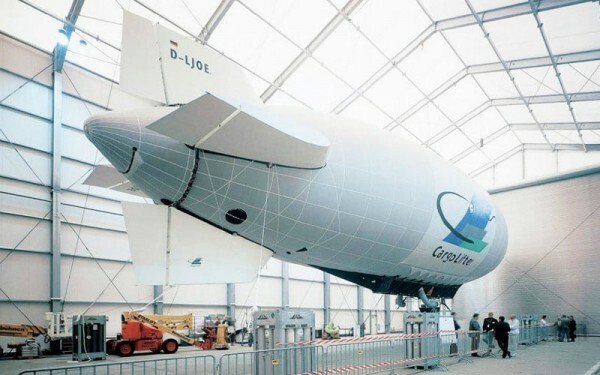 A temporary building can be a solution to short-term demands such as an increase in manufacturing, warehouse space or operations. You may need extra space for storage but may not want to spend the capital on planning consent, legal fees, building and costly materials. Building regulations also create obstacles and can increase difficulties for long-term plans to be made, making building a permanent structure, a long and frustrating process. 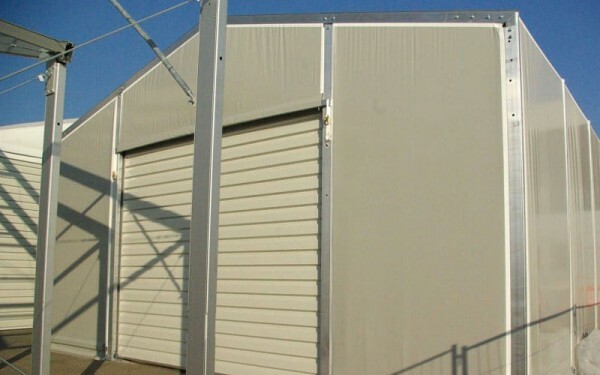 Depending on the purpose of the structure, our temporary buildings can be rented or purchased over terms that suit your company. 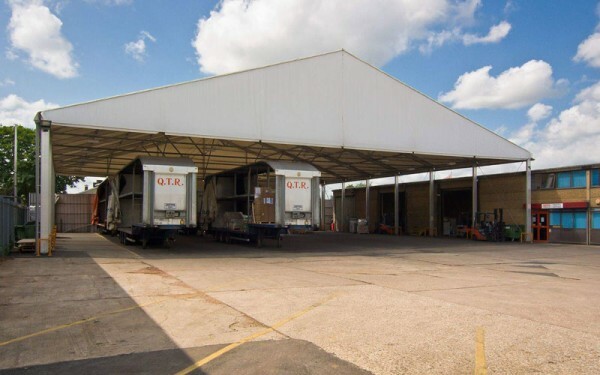 Our temporary buildings can last up to 30 years, so if you think that you will need a structure for a long period, it would make commercial sense to purchase from us instead of hiring. Talk to our expert team to discuss your business needs to help you determine what would be the best solution for your company, whether it’s long-term or short-term. 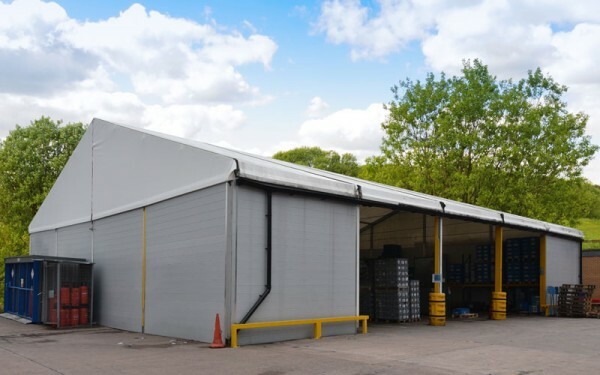 If you need an immediate temporary solution for extra warehouse space on a short term basis, then our hiring service is flexible to suit your needs. Even so, you can always opt to purchase at a later date. 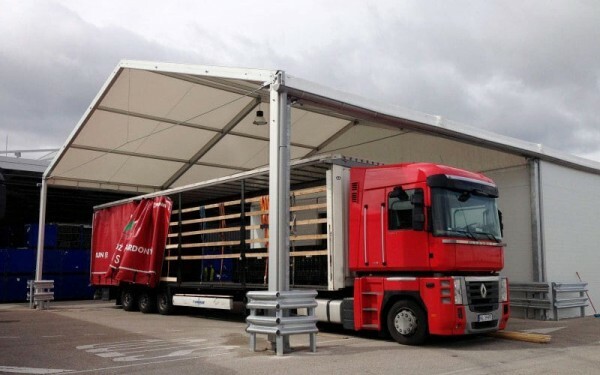 Your bespoke temporary building can be set up within days and if you need to extend your contract at any time, then it’s no problem to arrange. We understand that business requirements can change from day to day, so we have flexible packages in place to suit your needs. 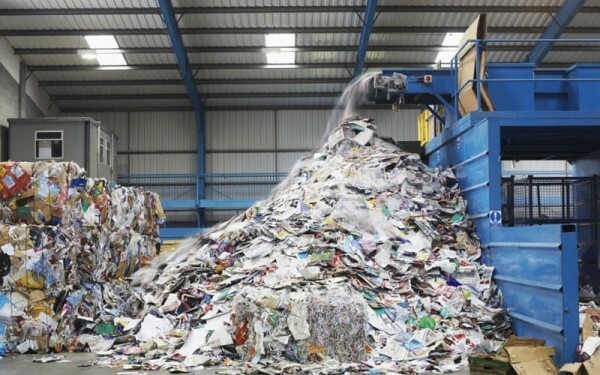 If you have any questions about how we can help, contact us with your requirements. After spending quite a lot of time looking into the plus points of getting a temporary building for some of our overflow stock at our Garden Centre, Ian was instrumental in explaining exactly what could be achieved and how easy it could be to implement! This has really benefitted us and was definitely the right solution for our needs at the moment and we have now just ordered our second one! Thanks Ian and the team – you guys were great. My worry always with considering the temporary building market is how robust are they really? However I was really surprised to learn how reasonably priced these buildings are – think mine is going to really last the test of time! Thanks guys! Fantastic job, on-time and on budget – would definitely recommend.